Maison Objet Miami : DelightFULL heads to the Beach! Maison Objet Miami is arriving. The 1st edition of Maison & Objet America is taking over to Miami Beach. DelightFULL crosses the Atlantic Ocean into warmer waters and heads to Miami to be present at the trade show that features le crème de la crème in decoration and home fashion by prestigious brands and designers: Maison Objet Miami. 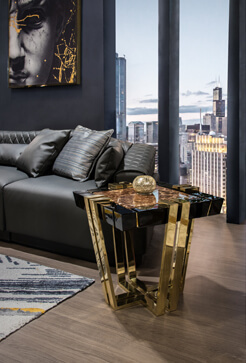 MO America embodies the spirit of creativity and sophistication that always characterizes the renowned worldwide fair of Maison Objet Miami. As you know, 2015 has been a remarkable year for this trade show that celebrated its 20th anniversary in Paris last January and will launch the first Maison&Objet America in Miami Beach. 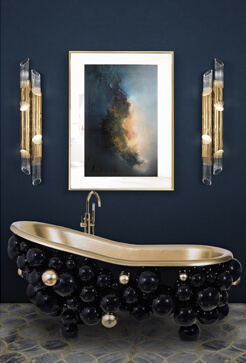 DelightFULL will bring to MO America the charm of vintage lighting. Between a selection of 300 brands, bright colors, sandy beaches, and warm weather, the brand’s spirit will stand out. Known for always surprising the public, the brand of lighting design will feature its new member of the family, the high-end Botti Floor and other pieces that are a hit already all around the world such as the Coltrane, the Pastorius Wall, and the Sinatra Floor Lamp. 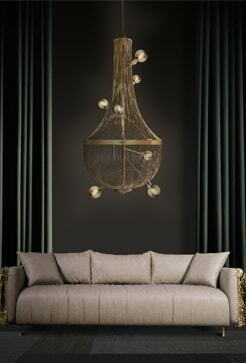 DelightFULL pieces are always a crowd pleasure and we hope to have a special place in the heart of the design lovers. Maison & Objet America will bring together the arts of living. Under just one roof, it will be able to gather players in the sector of interior design and decoration, unveil new trends and talents and promote creativity. Miami offers a business platform in the heart of the Americas and their 954 million inhabitants. Maison Objet Miami aims to propose an annual event for North and South American visitors and professionals. Maison & Objet America fulfilling the mission to go further and to showcase its talents and brands in the world’s most dynamic regions so it will settle in at Miami Beach from May 2015. Previous NOBU Miami – let’s try some Japanese Cuisine? Next DelightFULL’s design journey to ICFF!